When it comes to cooking for a special someone in your life,you want it to be nothing short of perfect,isn't it?It is with this thought in mind I set out to make something for my amma.Yes,it is Mother's day and I decided to post something I made exclusively keeping her taste palates in mind. As I've mentioned many times before,she doesn't have any special favorites as such.Whatever we like,becomes special to her too.There would be days where she cooked as many as 4 curries and stir fries and sometimes,it wouldn't be her favorite at all.She'll take some rice,curd and pickle and rejoice in the wonderful meal and we'll not spare that too,demanding a taste from that! I prepared this simple but delicious Dates Kheer today for her.It is mildly sweet,with no sugar added and a perfect after meal dessert. In a thick bottomed kadai add ghee and saute dates and almond powder for 2-3 minutes. 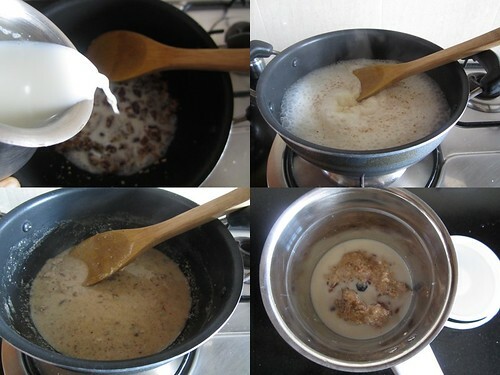 Mix in the milk and let it boil,simmer now for 5-10 minutes or till the milk reduces and becomes thickish. Add cardamom powder and serve hot or let it come to room temperature,chill and serve. I pureed the kheer at this stage and served with chopped almonds on top. The kheer is mildly sweet so if you are looking for a sweet dessert,mix in some sugar,jaggery or honey while the milk boils. The original recipe calls for Nutmeg which I didn't add.I feel Cinnamon would go well too. 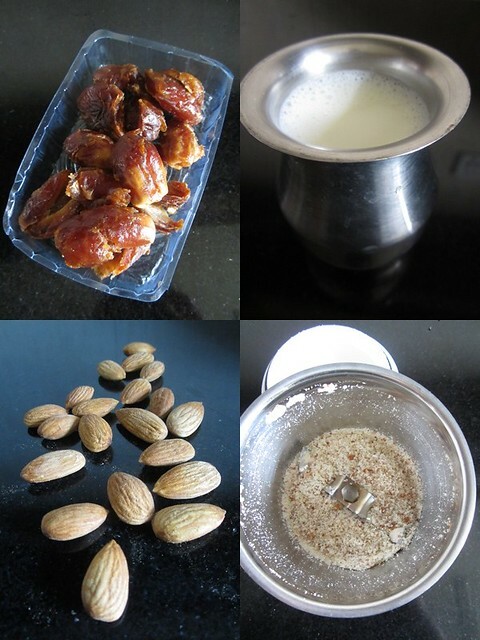 You could puree the dates along with almonds and then cook it with milk. Sending this bowl of Kheer to Nithu Bala of Nithu's Kitchen who is hosting the event Cook.Eat.Delicious.Desserts-Dates. lovely dish..i bet your mom must be elated with the nice gesture. really nice kheer!....can imagine the taste...yum! 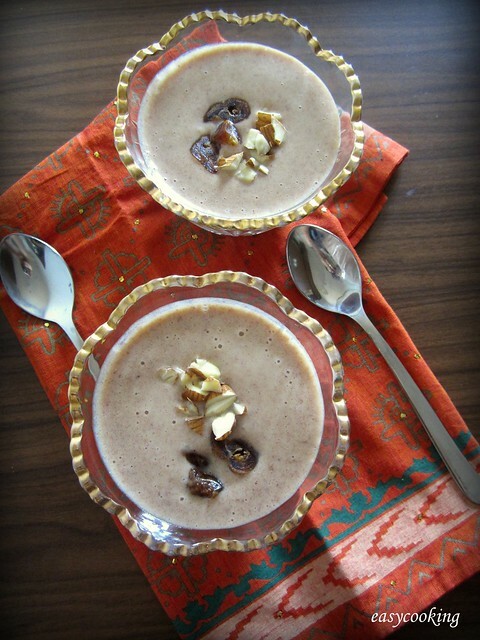 Kheer looks simply delicious and mouthwatering. Wonderfully prepared. Happy Mother's day to you. Delicious. Nice to retain the original mild sweetness rather than add extra sugar. Yummy! Please send to my "CEDD-Dates".A lovely giveaway is also waiting..do enter to win. looks so tempting divya....... anyway happy mothers day. My mom was also like that she cooked what we kids like and that was good for her and she will be like yeah this is my fav too. I can see the same pattern with me too when I make something, always keeping in my mind weather it is something Shyama likes it. 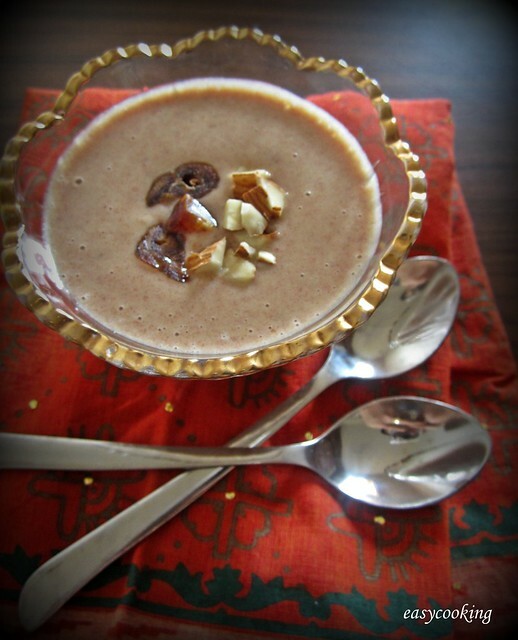 I have never had date payasam, it looks really yumm. I should make once a payasam. 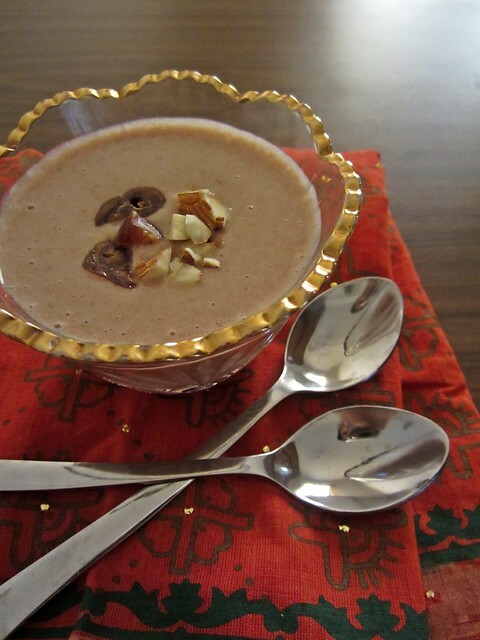 Healthy kheer, wat an excellent way to celebrate this mother's day. Very cute presentation and love the recipe. Yummy! I tried this today, have not served it to the children yet, left it to chill in the refrigerator. 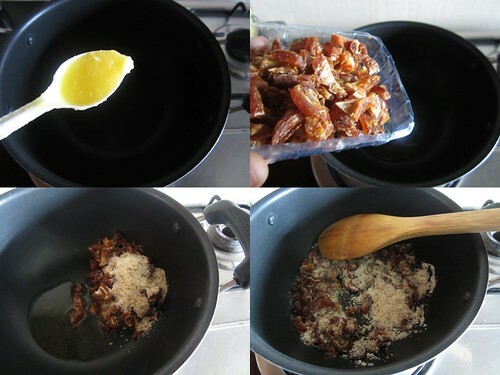 i liked it very much, a good way to eat dates(i never liked them to eat as such). i put badam mix(for milkshake) instead of real badam, came out very good. thank you for sharing this recipe. In a pan, add all the above ingredients. Keep cooking on a medium flame, stirring continuously.. It will reach a thick consistency in about 15 mins.. continue to stir till all the contents come together and form a ball like lump..but don't let it get too thick.. you should be able to pour it later..
Pour onto a greased tray(grease it with ghee).. let it cool for sometime.. then cut and serve and enjoy! !